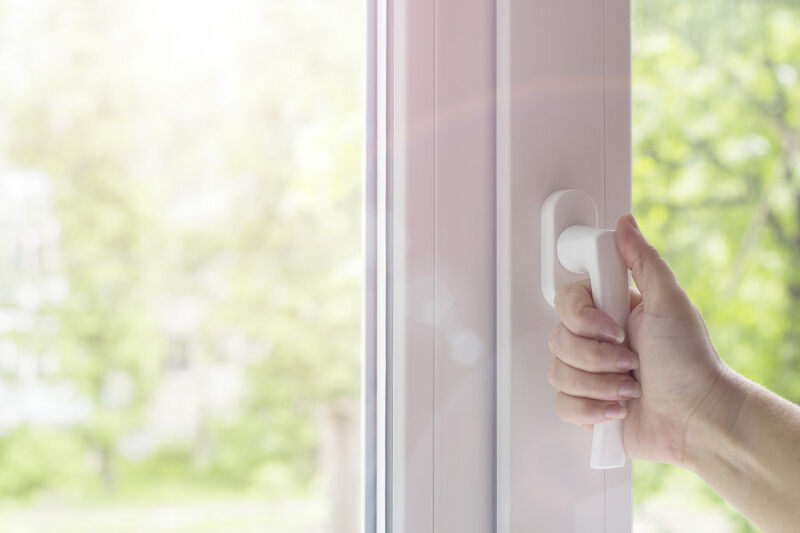 If your house is draughty and cold; or even if you feel the outside of your home could do with some updating, then it may be time to start thinking about fitting some replacement windows. Replacing old windows can instantly help save on energy bills, increase the security of your home and give it a face-lift that will go a long way to improving the overall style and appeal of your property. But before getting carried away with the exciting task of browsing window styles and colours, you will need to take care of more practical matters first. One of which is choosing the frames that will best suit your needs. Depending on your particular requirements, the style of your home and your budget you have three main window frame options: timber, aluminium and UPVC. Timber frames can add character to a property and are surprisingly durable if looked after properly. They are easy to maintain as they can be fixed and repaired often without having to replace the entire window. However, to keep them in tip top condition they need constant maintenance otherwise there is a high risk that they’ll end up rattling, rotting or letting in wind and rain. Lightweight and durable; aluminium frames are becoming an increasingly popular option for replacement windows. They can even be finished to look like wood. Because they are lightweight, aluminium windows are suitable if you have big or unusually shaped frames that would otherwise be heavy and cumbersome to open and close. However, they can be an expensive option and they do not always fare well when it comes to reducing condensation and retaining heat. UPVC windows have come a long way in recent years and manufacturers are able to offer a wide variety of styles and colours to suit individual preferences. In fact, it’s this ability to customise to achieve just about any shape, style or colour you want that often makes UPVC such a popular choice. UPVC replacement windows are a highly attractive, durable and affordable choice for most homeowners. They are incredibly low maintenance and do not require painting or sealing. If you live in a built up area or next to a road, it can be reassuring to learn that as well as being low maintenance, UPVC windows are also resistant to pollution and will lock traffic noise and fumes out of your home, turning your indoor space into a safe sanctuary of peace and calm. Should your home be old, listed or built in a conversation area such, it’s worth checking if you are permitted to install UPVC replacement windows as there may be some tight restrictions in place from your local Council that make it unfeasible. However, with the ability to customise UPVC as desired, it’s often possible to configure a window so that meets any necessary regulations and standards. If you would like more information about the versatility and cost saving benefits of UPVC windows, then Premium Plastics is here to help. We are a FENSA registered windows specialist that has a wide range of replacement UPVC windows in stock at our Warfield showroom. We’d welcome the chance to advise you on selecting right frames for your home whatever your needs, tastes or budget and then visit your property to carry out the installation, when the time is right for you.